Located on the Iberian Peninsula, Spain is frequented by 50 million people every year. It was initially a part of Roman Empire until the Muslim invasion in 711. The reconquest in 15th century reestablished the Christian rule in the country. Spain has the second most UNESCO World Heritage Sites of any country. It encompasses several autonomous regions, making it one of the most widely diverse cultures on the continent. Spain offers an urban sophistication with a relaxed and welcoming attitude. It has splendid beaches, vibrant nightlife, and delicious cuisine. Tourists can select from a wide variety of activities- from flamenco dancers to bullfights, from art to architecture- all beckon to travelers. You will find large cities to small towns in Spain that you will never find in any other place in the world. You will also find ruins and palaces to showcasing the art and architecture in Spain. When deciding on a vacation to Spain, make sure you select the cities or towns that reflect your interest. Here is a compilation of 10 popular cities and towns catering to the interest of people with different tastes. There is no city on earth more alive than Madrid. It is Europe’s most colorful, cosmopolitan city. 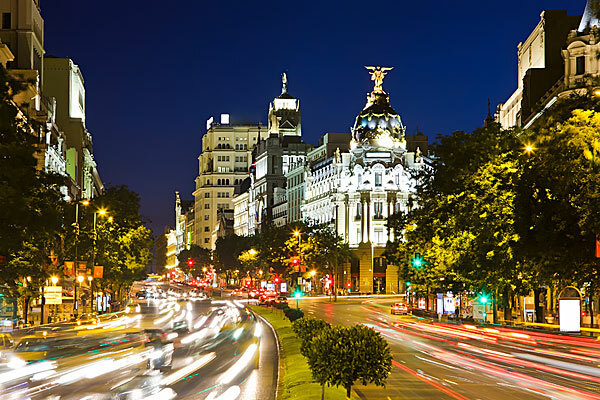 Madrid is often the starting point for Spanish vacation. It is the cultural and financial hub of Spain. Madrid is a haven for art lovers. The museums of Madrid houses richest art collection. The most popular museums of Spain are Centro de Arte Reina Sofía, Museo Thyssen-Bornemisza, and Museo del Prado. Madrid is also the cultural capital of Spain. From the sit-down meals beneath ancient vaulted ceiling to tapas in sleek temples, eating in Madrid will always be a pleasure. The oldest restaurant in the world is also found in Madrid. Madrid also has wonderful parks, shopping sites, buzzing squares and unbeatable nightlife. There is a lot to see in outside the city itself like Toledo and Segovia. Barcelona is one of the best places to visit in Spain. The energy and creativity of Barcelona make it a captivating place. The capital city offers everything to its visitors- from, historic architecture to lively shopping destinations, from buzzing nightlife to a vibrant culture. You will witness architectural marvels of Antoni Gaudi like the Casa Batllo. 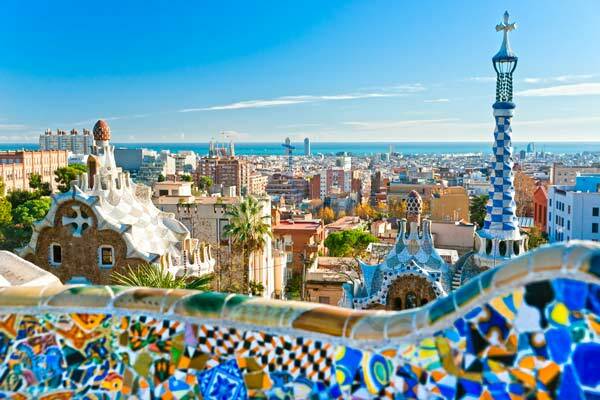 When in the city of Barcelona, do not forget to visit the Guell Park, the Sagrada Familia cathedral, the beaches and the La Rambla street. Start your day with a sunset drink from a panoramic terrace or head to a rustic beachside for a heavenly experience. You must also take a cable car to visit the National Park of Monserrat, a mountain with stegosaurus like profile. The place is excellent for hiking and climbing trails. Seville is the most popular city in Andalusia. It is the region’s cultural and financial capital. This metropolis is believed to have been founded 3000 years ago by Greek God Hercules. It is the home of bullfighting and flamenco. 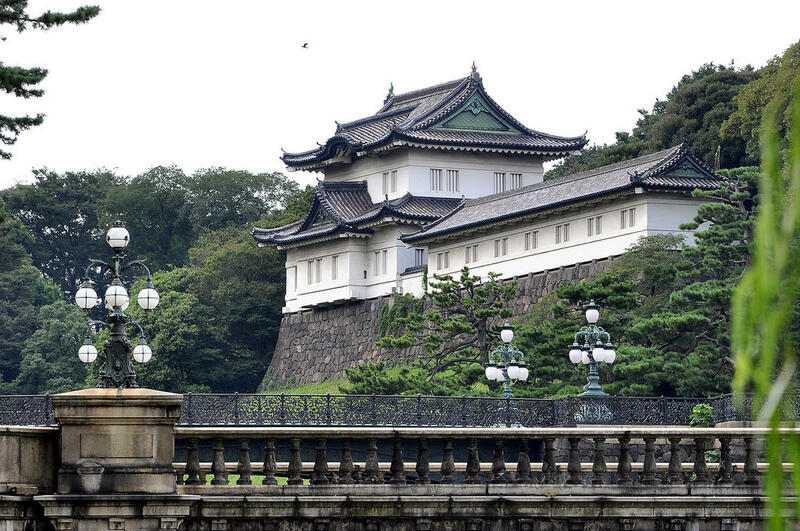 Its famous festivities and splendid architecture attract tourists from all across the world. You will find Muslim and Jewish architecture throughout the Real Alcazars. The most impressive attraction of Real Alcazar is the Palace, a royal residence, dating all the way back to the late 1300s. You can visit the tomb of Christopher Columbus, the Giralda Tower or the astonishing Plaza de Espana, where all provinces of Spain are represented. The Semana Santa celebrations of Easter are famous all over the world. 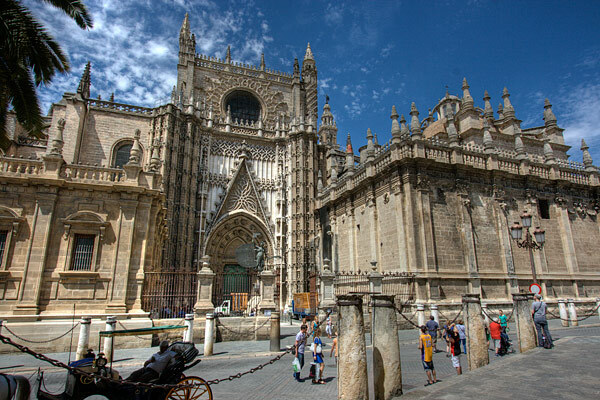 The city is also home to historic landmarks like the Cathedral of Seville, the place where Christopher Columbus is believed to have been buried. Granada is another city worth city worth visiting in Spain. 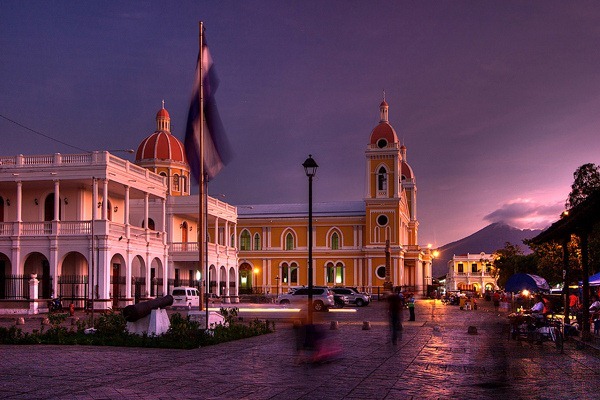 Granada city is the provincial capital of Granada. The place offers spectacular architecture, amazing nightlife and gorgeous landscapes. It also offers a glimpse of Spain’s Moorish history, which ended in 1492. Do not forget to visit the Alhambra Palace in the Sierra Nevada mountains. It is a complex building decorated with Arabic inscription, rectangular courtyards, and gardens. If you love skiing, then make sure you visit the famous ski resort of Sierra Nevada. Valencia is the capital city of Costa Blanca, a Spanish beach resort. 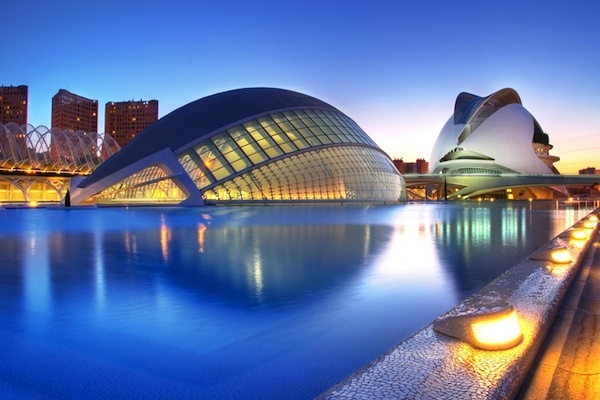 Visit the City of Arts in Valencia to see amazing eye shaped buildings and other architectural masterpieces. You can make the most of your holidays by visiting nearby towns like Althea, Calpe, and Denia. Valencia is also the birthplace of paella, so make sure you check out some amazing paella restaurants here. Valencia is also surrounded by farmland La Huerta, a famous fruit and vegetable famous for rice dishes and a nuzzling dining scene. 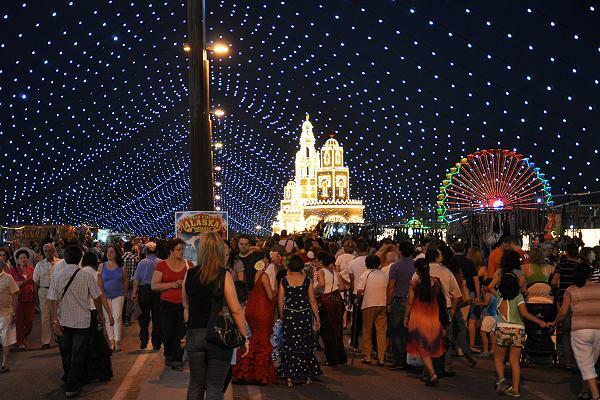 Try to attend the Fallas Festival when in Valencia. Valencia is also a great place to walk around, with most of its sights in the walking distance. The Museum of Fine Arts in Valencia has an extra ordination collection of Spanish paintings by El Greco, Velázquez, and Goya. Cordoba is arguably the most beautiful city of South of Spain. It is the capital of the Cordoba province in the Andalusian region. Cordoba was once a premier city in the Western World. It was the greatest metropolis situated in the west of Constantinople and was the seat of Europe’s first university. Travelers to Cordoba love taking a stroll on the ancient cobblestone streets of Cordoba and peeking through the gates from a glimpse of lush flowers. Its famous Mezquita is one of the greatest architectural treasures of this city with its extraordinary white and red arches. Mezquita is surrounded by a maze of tiny medieval streets and whitewashed courtyards. There is also plenty of less-trampled territories to explore the city of Cordoba. Visit Sierra Morena to see a mountainous expanse of ruined castles and protected forest. Salamanca, located two and a half hours northwest of Madrid, is the perfect final stop on the way from Spain to Portugal. 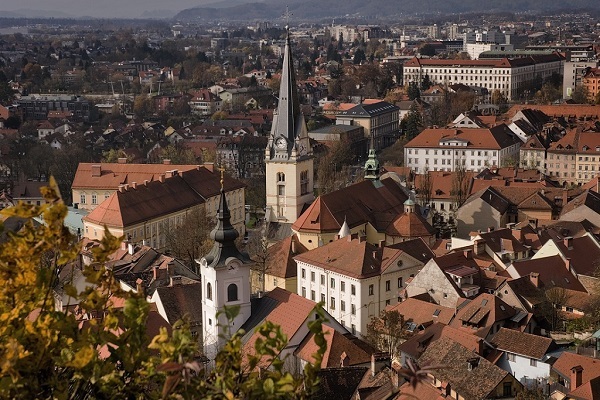 This clean city is famous for its nightlife and some of the Europe’s oldest universities. The town has some of the greatest Renaissance and Plateresque architecture. Spend some time admiring the two extraordinary cathedrals and the continent’s grandest squares. You can also wander through the old towns of Salamanca rich in golden stone buildings that make the city glow. 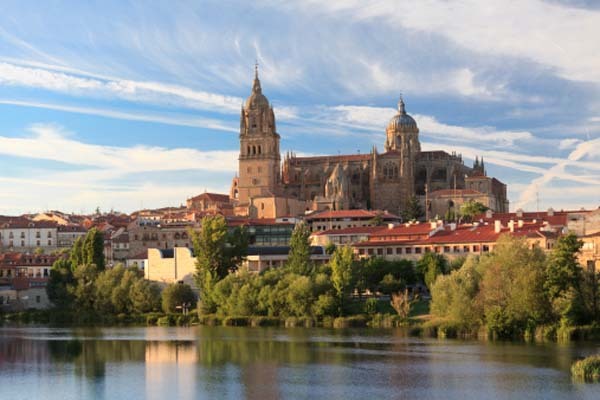 Salamanca is a great place for learning the Spanish language. 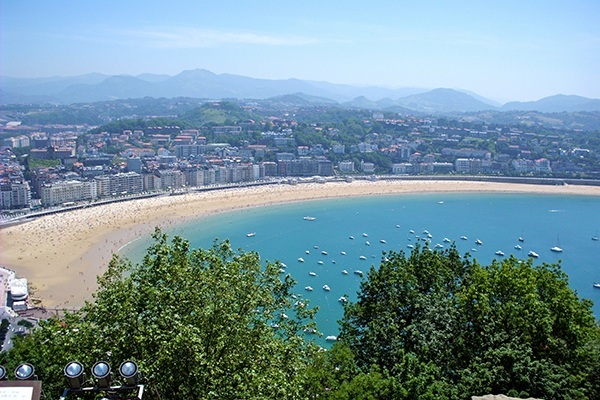 San Sebastian is a coastal city located in the Basque Country of Spain. It is not possible to not fall in love with St. Sebastian. The city is charming and well mannered during the day and svelte and flirtatious at night. St. Sebastian is rapidly becoming the “capital of gastronomy” in Spain. The place is said to have the finest city beaches in Spain. St. Sebastian also tops the list of the world’s best places to eat. Playa de Gros is a perfect place for surfers. There are plenty of historical sites to explore in St.Sebastian. Bilbao is the biggest port of the city and the industrial city in northern Spain. It is an architectural hotspot with an airport designed by Santiago Calatrava. The standout attraction of Bilbao is the Guggenheim Bilbao Museum. This curvaceous titanium building houses more than 100 exhibitions of modern art. Take a short walk from the museum to visit the historic Old Quarter, a place with important churches. Basilica de Begoña, the 16th-century place features large-scale paintings by artist Luca Giordano, the Italian Baroque. 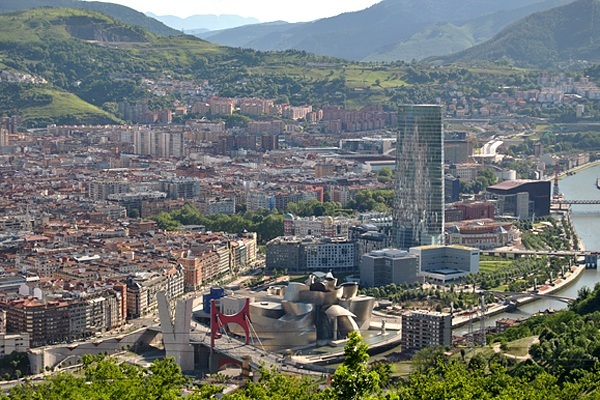 Bilbao is the cod capital of Spain with hundreds of delicious recipes. So make sure you indulge in cod when in Bilbao. Pamplona is the capital of the Navarra region. 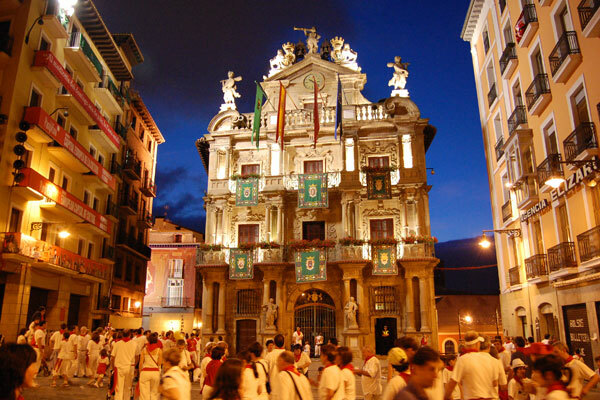 It is best known as the site of the annual “Running of the Bulls”, held during the Fiesta de San Fermín. Avoid the city during the weeklong festival in early July if you are not interested in risking your life in the “running of the bulls”. Pamplona has plenty of other activities to offer to its visitors besides the bull running. Visit the Old Quarter of the city to stroll across the pretty park and historic churches. Museum of Navarra is must visit destination in Pamplona. The museum boasts an impressive collection of mosaics, Roman artifacts, Renaissance painting and Goya’s portrait of the Marqués de San Adrián. Hope you liked our overview of ten of the best places to visit in Spain. The flights and trains make it easier to travel between large cities and smaller towns.